In a (slightly) tongue-in-cheek interview for the new Limerick and Killaloe diocesan website, http://www.limerick.anglican.org/, I was asked some interesting, and some peculiar, questions. I was born in Rathfarnham in Dublin, between a synagogue and a laundry and opposite a cinema. But I moved around a lot in my childhood and early adult years, including west Waterford, school near Drogheda, important years in Lichfield, and then Wexford. I first trained as a surveyor, but spent over 30 years of my working life as a journalist, first with the Lichfield Mercury, then the Wexford People and The Irish Times. 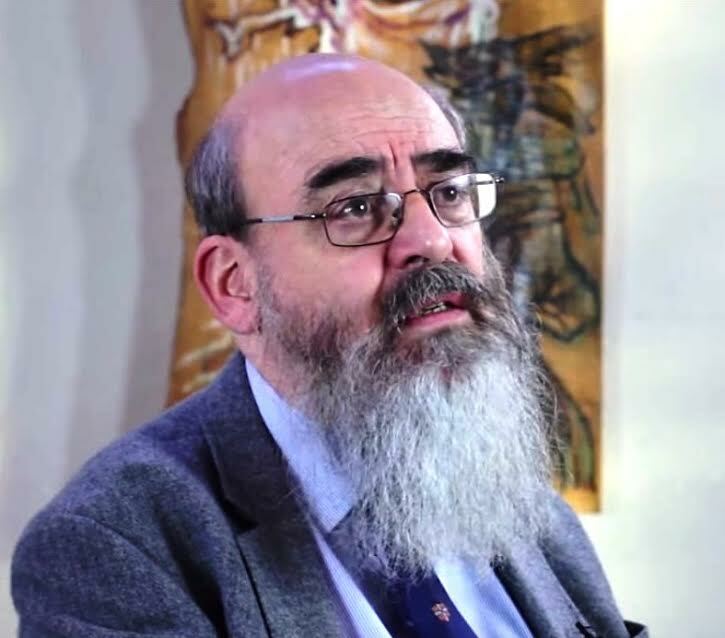 I was Foreign Desk Editor of The Irish Times for my last eight years there, and I have been a lecturer at the Church of Ireland Theological Institute for 15 years. I moved to the Rathkeale Group of Parishes in January 2017. Barbara and I married in 1974, and we have two adult sons. I have studied theology at Trinity College Dublin, the Irish School of Ecumenics, Maynooth, and in Cambridge. I often find I am good at the things I enjoy, without ever being competent let alone proficient. I love poetry without writing it, love music without being able to read or play it, and enjoy rugby, cricket and rowing despite my age and my lifelong lack sporting prowess. I could say driving, but not being able to drive, I can hardly be better – or worse – at it. Perhaps I should answer instead by saying singing … or being more conversant in Greek, Italian and perhaps French. Me, of course. If they ever got around to making a film of my life, I’d like to still be alive then. If you weren’t clergy, what job would you have? What job would you like to have had? An architect. My careers teacher advised me strongly not to consider it … I’m almost innumerate. I’m still a frustrated architect, and enjoy architectural photography as a hobby. Walking. I love walks on a beach, by a river bank, or along a lake shore. Grand Opera or Country & Western? I enjoy opera … Verdi, Puccini, Mozart … in Wexford, Verona, Vienna and even in Bucharest. But instead, perhaps you could ask, Bach and Mozart? I have very wide tastes, particularly from Vaughan Williams and Mikis Theodorakis to Steeleye Span. I regret never learning to play a musical instrument, even though my school offered any musical education I wanted. Favourite book (not including the Bible or Shakespeare)? The poetry of TS Eliot when I am thoughtful, the poems of John Betjeman when I am being humorous; poetry first, then history. As a journalist, leaving Israel and the West Bank on a flight for Dublin, not knowing the Intifada was about to break out that day, or leaving South Africa on a flight for Frankfurt just days before Nelson Mandela was freed from jail. Others got the stories and the bylines, I just got to edit the pages. One thing that makes your blood boil? Only one? Racism, prejudice, the way we treat refugees and asylum seekers, especially children, direct provision, sexism, nuclear weapons, war, indiscriminate violence and terrorism … but then all violence and terrorism is indiscriminate. Would you like me to go on, because I can go on and on. Other than Jesus, which Biblical character would you like to have dinner with? You mean I am not invited to the Supper! Saint John the Evangelist. I can read the Johannine literature at any time, and constantly find them inspiring and challenging. And if we’re having dinner, it would be in a good taverna in Patmos, where he wrote … or on any other Greek island. Each year on a day close to the Feast of the Annunciation [25 March], the Mothers’ Union marks Lady Day with a special service. Lady Day has long held significance for Mothers’ Union and its members, and traditionally this is the day new members are enrolled. 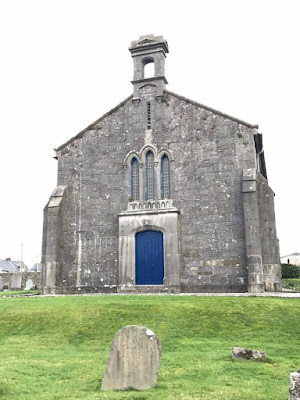 Because of the weekend, this year’s Lady Day Service in the Diocese of Limerick and Killaloe is being held instead this evening, a day after Mothering Sunday and in the appropriately named Saint Mary’s Church, Askeaton. I am presiding at the Eucharist and the special preacher is Canon Liz Beasley of Adare. This week, from yesterday (26 March) until Saturday (1 April), the USPG Lent Prayer Diary is following the topic ‘A World of Injustice.’ The theme was introduced yesterday in an article in the Prayer Diary by Professor Mathew Koshy Punnackad, Honorary Director of the Department of Ecological Concerns of the Church of South India Synod. ‘The heavens declare the glory of God; the skies proclaim the work of his hands’ (Psalm 19:1). As disciples, may we learn to see and honour God through the world around us.